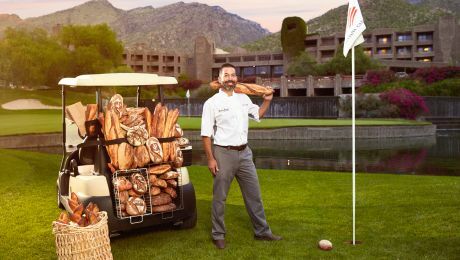 Sample the authentic food and drink of the southwest with our curated culinary experience, Flavor by Loews Hotels. The desert is hardly vacant when it comes to inspired eats. Taste the abundance of local flavor with Flavor Tucson – right here at Loews. We’ve partnered with the most-loved hyper-local culinary and beverage artisans so you can experience authentic Tuscon, bite after bite, sip after sip. What’s best? You can have it all without ever taking step off property. Founder and chef Todd Martin does the southwestern specialty proud. 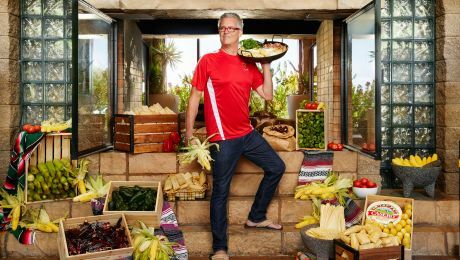 He left his Fortune 500 company job to pursue his culinary passion: hand-crafting family-recipe, gluten-free tamales. Now with three local restaurant locations (and appearances on grocery shelves nationwide), Todd’s signature dish has a huge following. There are more than 25 varieties, from the vegan-friendly blue corn and veggies, to the carnivore-inspired red-chili beef. While you’re at Loews, bite into a few faves – a breakfast tamale at Canyon Café and a desert tamale at Cascade Lounge. 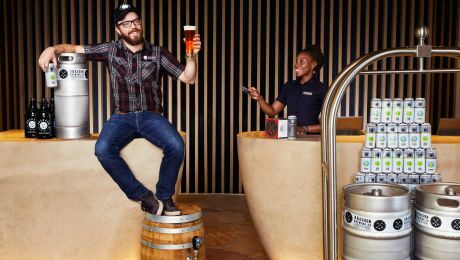 Attention, beer fans: You won’t want to miss a pour from this Tuscon brewery. We’ve got some on tap at all of our Loews Ventana restaurants. Raise a glass, toast and feel good about the fact that this is beer brewed with heart. Dragoon was started by a father-son duo and a pal, who took their home-brewing passion to the masses when they opened a taproom in 2011. Now with 30 different beers crafted throughout the year – all with seasonally grow wheat – Dragoon is a local household name and also featured as part of our Blues, Brews & BBQ Brunch. Owner/baker Don Guerra grew up baking with his mother in Phoenix. After working in bakeries and doing a seven-year stint as a teacher, he returned to the idea of heart, home and neighborhood cuisine. Barrio (which means “neighborhood” in Spanish) was born in Tuscon in 2009 and Don’s bread has become the stuff of local legend. Chalk it up to his centuries-old baking techniques and use of locally grown heritage grains. Fans swear by the chewy interior and perfectly crispy crust. Find out for yourself at restaurants throughout the resort, where his creations are served.